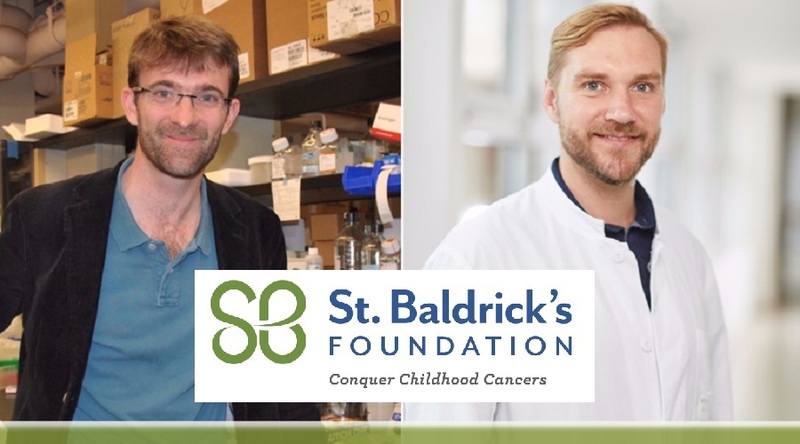 This year, the St. Baldrick’s Foundation for childhood cancers congratulates the two winners of the Robert J. Arceci Innovation Award: Dr. Franck Bourdeaut from the Curie Institute in Paris, and our very own PD Dr. Jan-Henning Klusmann from the Hannover Medical School. They are being presented with the award today at the annual conference of the International Society of Paediatric Oncology. The Arceci Innovation Award was established to honor the memory of Dr. Robert Arceci – an internationally-recognized physician-scientist, passionate innovator, and pioneer in the field of childhood cancer. The winners of this unique award are therefore given the resources and freedom to follow their curiosity, pioneering spirit, and passion for helping kids with cancer, wherever their research may lead. Both of this year’s winners are physician-scientists who are researching ways of helping infants with cancer. Dr. Bourdeaut is studying immunotherapy as a treatment for infants with rhabdoid tumors. Dr. Klusmann is investigating improved treatments for babies with leukemia, who suffer from poor outcomes and are highly susceptible to severe side effects from chemotherapy. He is currently working on therapies based on non-coding RNAs, which were previously thought of as “junk” but which we now believe to pose a new window for treatment. Unlike traditional grants, which generally have a restricted scope, the Arceci Innovation Award will give Dr. Bourdeaut and Dr. Klusmann the freedom to pursue whatever childhood cancer research they find exciting and promising. The researchers will split the award, which consists of $250,000 per year over a three-year period. As opposed to investing in a project that is subject to numerous constraints and criteria, the Arceci award is an investment in the researchers themselves – solving a problem that Dr. Arceci recognized in how research is traditionally funded.